I did the Ironcross today. This is a 100k endurance cyclocross race if you can believe such a thing. Basically you do a lap on a traditional 'cross course then then they cut you loose into the mountains of Pennsylvania. The route consisted of tricky singletrack, doubletrack, dirt roads and pavement. First thing I have to say is that it was a very cool race, I had tons of fun. To make it even more interesting I decided to try this thing on my newly fixed cross bike. This was only my 2nd ride on a fixed gear but I figured what better way to get used to it. The race went well. Some monster climbs followed by some killer downhills. I think going down hurt more than going up. I was spinning at 200 rpm sometimes. When I couldn't take it I'd actually take my feet off the pedals for a bit and just let them spin. 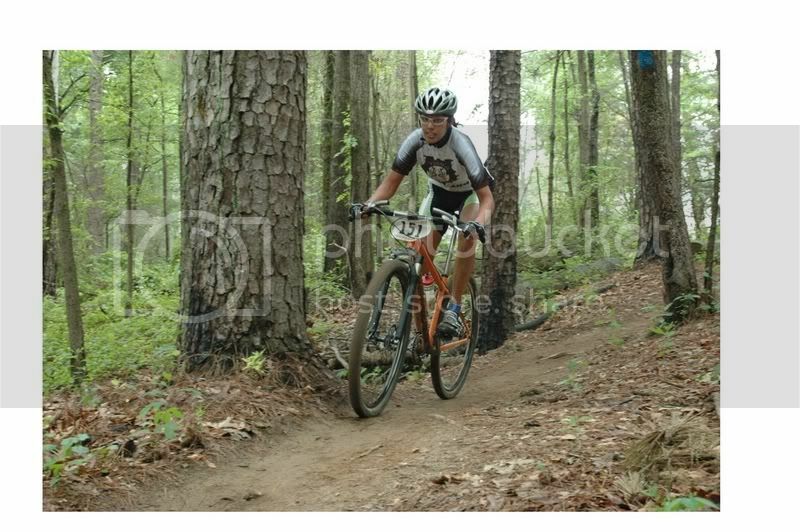 The singletrack sections were really fun. It wasn't pretty but I was able to make it through most stuff with out getting off. My technique basically consisted of powering through stuff. Made for a long day but I had a very satisfied feeling coming across the finish line. I even managed to get 6th place somehow. Hey man good race yesterday. Found you off the mtbr boards. I had the red fixed crosscheck and somehow got 3rd (first podium ever). That was an awesome course. Thanks guys. I think I was riding with you for awhile at the start. Nice job on 3rd!